floating black 7 3/4 in. 1 oz. Size 7 3/4 in. 11 3/4 in. Weight 1 oz. 2 1/2 oz. In nature one thing is for certain: Rats and water don't mix when hungry gamefish are near. 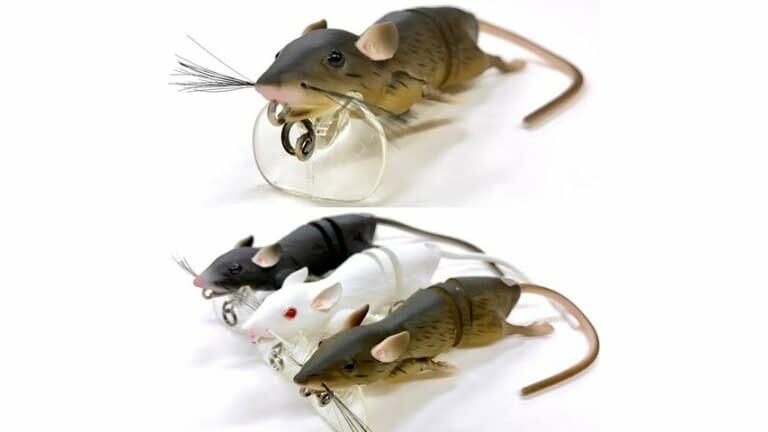 Every spring unlucky field mice find their way into a lake or stream and they are a favorite food for Bass, Pike and Musky. The Savage Gear 3D Rat has a special body design that calls in gamefish from a great distance. Top hook option allows this bait to be fished around and over the heaviest of cover. Based on a 3D scan of an actual rat. Top hook rigging option for fishing arouond heavy cover. Unique body design calls in fish from a great distance. The 3D Rat is available in two sizes in all the hottest colors.